Bank of England base rates will stay at their unprecedented low of just 0.5% until at least 2016 when unemployment will drop to 7% at which point, rates may go up - according to Mark Carney, governor of the Bank of England. In light of the recent wave of positive economic news; business confidence up, manufacturing up, consumer spending up, house prises up, and unemployment down, could all spell disaster for the millions of home owners who have now become accustomed to ultra-low rates. Low interest rates saved thousands from debt and repossession, and Mark Carney's stroke of genius in letting us know that rates are not likely to rise in the near future has created confidence for people to withdraw their savings and go out spending, all of which will create jobs in manufacturing, retail, and the service sector. Hence, perhaps the reduction in unemployment. But could this be a forced recovery fuelled by cheap borrowing and a lack of any great incentive to save? There are still extremely high borrowing levels in this country, and the man in the street certainly doesn't feel especially wealthy at the moment particularly when inflation is running so high in things such as fuel and food and other such luxuries. But forced or not, it seems that we are on the way to a recovery and may hit the 7% unemployment target sooner than expected. 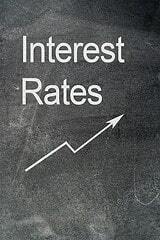 At this point, interest rates will start to rise and from this historic low level, and even a quarter or half percent will have a massive impact on people's pocket and confidence. So it's time to try to beat the system to take the sting out of a rate rise. Check first to make sure that you won't be penalised. But if you can, try to repay your mortgage at the same rate you might have done when interest rates were higher. Not only will this rapidly reduce your debt level and interest payable, but it will also get you used to budgeting for rates should they increase. As ever a real gamble because fixed rates are normally set higher than variable. So, until interest rates increase, you will probably be paying for more than you need. However, there are some interesting offers out there including a Tesco 2-year tracker at 1.75% [with a £995 fee] or even a ten-year fix with Norwich and Peterborough at 3.84%. But take financial advice before you jump ship. If you have savings and a mortgage, this could be the product for you. With savings rates low, link them to your mortgage, and anything that is in credit is automatically wiped off your debt, saving you tons of interest. 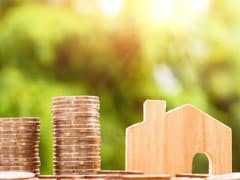 To prepare for rate rises, you should re-invest the interest saved back into the linked account ready to pay off the loan when rates rise beyond what you want to pay. Not exactly clever, but it is the tried and tested method. 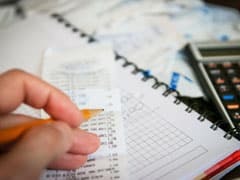 Take stock of everything you spend money on and see where savings can be made and use these to pay your mortgage down. Get creative as well with supermarket reward schemes and cash back credit cards, and don't treat the money as a bonus, treat it as earned income and again, pay the mortgage down with it. There's no doubt that interest rates will eventually rise and those that have taken steps to soften the blow now will be pleased of it when the time comes. Chris Butterworth, Images Money, MAClarke21. Last updated on 13/11/2013 by Jonathan Rolande.